Hello, it’s been a while! Thank you for hanging in here! Just a quick update of what I have been up to. I am currently working on my research paper and in addition to that, I spent the last couple of weeks preparing for the TKT- Teaching Knowledge Test (English teachers look this up) and I took the test for all 3 modules in one day! Phew! It was exhausting but totally worth it. Preparing for the test helped me put a lot of things about teaching English in perspective. TKT is quite detailed and focuses on salient aspects of the ESL classroom using English teaching standards and framework stipulated by Cambridge Assessment English, a Department of Cambridge University. On the whole, TKT helped me to really be conscious about my classroom practices. Speaking about standards and framework, I had an interesting conversation with Julian over the weekend. Let me digress a bit with a quick introduction before I get on to the crux of our discussion. Julian is from the UK but permanently resides in Kutchan Hokkaido Japan. He holds a 1st Class Hons. degree from Cambridge University in Education and is licensed to teach UK Primary School (Qualified Teacher Status), to teach English as a Foreign Language (Celta and Delta qualifications including the extension for Young Learners). He is a Speaking Examiner for Cambridge Young Learner Exams, Key English Test and Preliminary English Test. He also spent 2 years in Hokkaido public schools as a JET AET. Julian and his wife Yoshiko founded and run SMiLE Niseko, a language school which provides professionally delivered English language courses based upon International best practice and methodology. This enables young people to supplement their mainstream Japanese education with 'gold standard' International certification and broaden their life opportunities. For parents, local people, retirees, or anyone with an interest and desire to communicate in English, SMiLE offers structured '4 Skills' based courses with opportunities to demonstrate and enjoy progress at your own language level and enables people to take valuable Cambridge English exams without having to leave Hokkaido. JP181 supports other schools and Universities in Sapporo with teacher development and with Cambridge English Exam Preparation. Note: This is a longer blog post than usual but I hope you’ll stay with me till the end. Of course, I went into a tirade about the importance of standards and classroom observation models. Or is there no need to observe and analyze lessons? Should we just let teachers teach as they deem fit and do their own reflection on what went right and what did not? We didn’t quite finish this talk because as natural conversions go, we digressed and began talking about something else. Anyways, being a reflective learner, I went home and thought about our discussions and sent him follow-up questions for further clarification. Find below his answers to my questions and if you have any questions concerning this, please leave them in the comment section, Julian will be reading! 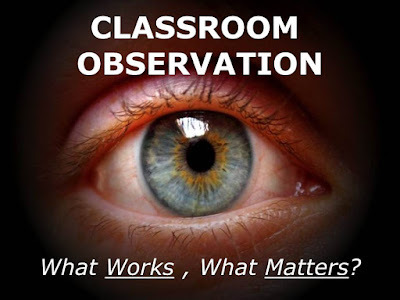 What’s your general opinion about classroom observation and analysis models? Observing learning and teaching in classrooms is extremely important. Observing what learning is actually taking place, as opposed to what we think might be happening or what was planned, enables teachers to reflect on what is working and what isn’t. Focusing on what isn’t working, we can consider how we might improve the effectiveness of our teaching and the learning experience. So, observing other teachers and even ourselves is profoundly important and often very revealing. What is less clear to me at this point (though I'm keen to hear and understand the rationale), is the value of an analytical model. Can you evaluate classroom teaching and develop better teachers through a comparison with ‘model’ teaching? Surely the relevance and value of any single model of teaching to another teaching context would be highly subjective? Teaching is a human, personal and practical activity, requiring self-awareness, sensitivity and principled decision making by professional practitioners who should continually seek to improve their own practice. In the wide array of teaching contexts, with learners who have different priorities and needs, observation should support positive reflection of our own teaching and our own context. In that sense, we need to consider, learn about, and examine every approach, idea, and methodology that “might” improve or contribute to better learning. If it were easy to find a single model to meet the ends of all learners in varied contexts, perhaps we could compare teaching performance against the model and then try to close the gap between the two. However, effective teaching takes many forms and is delivered in many ways. Certainly, we recognize good teaching when we see it but trying to identify exactly what makes it effective is much more elusive. For example, broad ideas and umbrella terms like communicative methods or approaches may seek to encourage student-centered learning, ensuring learners have opportunities to practice and use language to communicate with one another as well as with the teacher. As a broad teaching principle of good practice, that idea seems highly credible. An analytical model might, therefore, seek to measure the proportions of STT and TTT (Student and Teacher Talking Time) and make specific recommendations as a result. i.e. talk less and provide more opportunities for students to speak. Also fine, if the teacher understands what really underlies this idea. While a teacher may enthusiastically comply with the advice, it may not necessarily result in more or better learning unless the teacher understands “why” this is important and therefore how to implement this advice in an effective way. It may just result in a distortion of the underlying principles into, for example, TTT = bad practice / STT = good practice. I believe teacher understanding is best achieved by setting clear expectations of ongoing or continuing professional development, not through blind obedience to one ‘possibly relevant’ model. 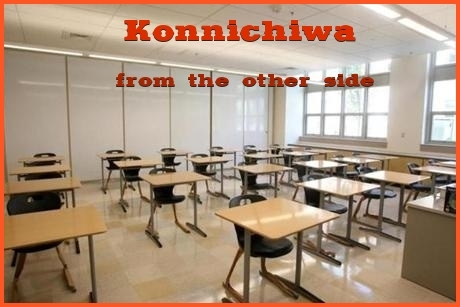 In Japan, a culture where the master, a guru or an expert is often followed unquestioningly, there is a danger that teachers respond to such advice or direction, without really understanding ‘why’ they need to consider, change or adapt what they are doing. Teachers developing understanding and coming to conclusions themselves by observing peers, reading and critical reflection is what will most improve teachers and teaching standards. The internal development of an individual teacher is more important than following instructions or advice based on an arbitrary model of what good lessons look like. Classes where a teacher enthusiastically follows advice to ‘do pairwork’ for no reason other than to conform to a model may result in less effective teaching than another teacher’s principled and carefully considered decision to take a more teacher-centered approach. The point is not that a communicative method or any other approach is right or wrong, it’s that teachers need to understand the principles and the theory that underwrite their decisions in the classroom. They also need to take responsibility for these decisions and the learning outcomes. Do you think having standards and models for judging a lesson has a positive or negative effect on teachers and students? I’d probably avoid the term “judging” which implies a subjective, expert judgment about the teaching or learner performance but certainly, the idea of standards-based assessment has great value. It depends, however, who is the assessing and to what extent their standards can be deemed credible and worthy of the teacher or learner’s attention. Critically reviewed, classroom relevant, professionally developed standards are of great interest to me. 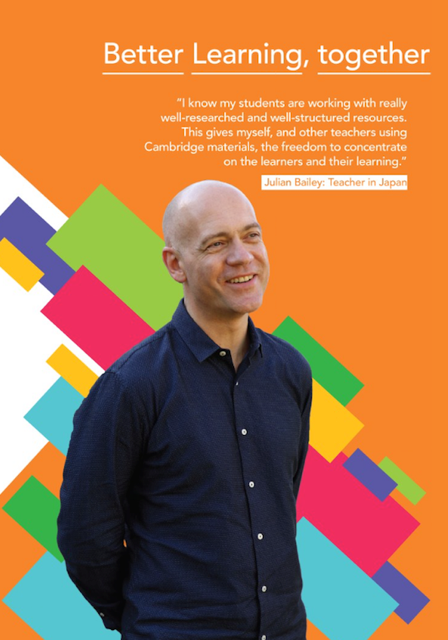 Standards are why I introduced Cambridge Exams for learners in my school despite it being difficult, expensive and time-consuming to do that in Japan. 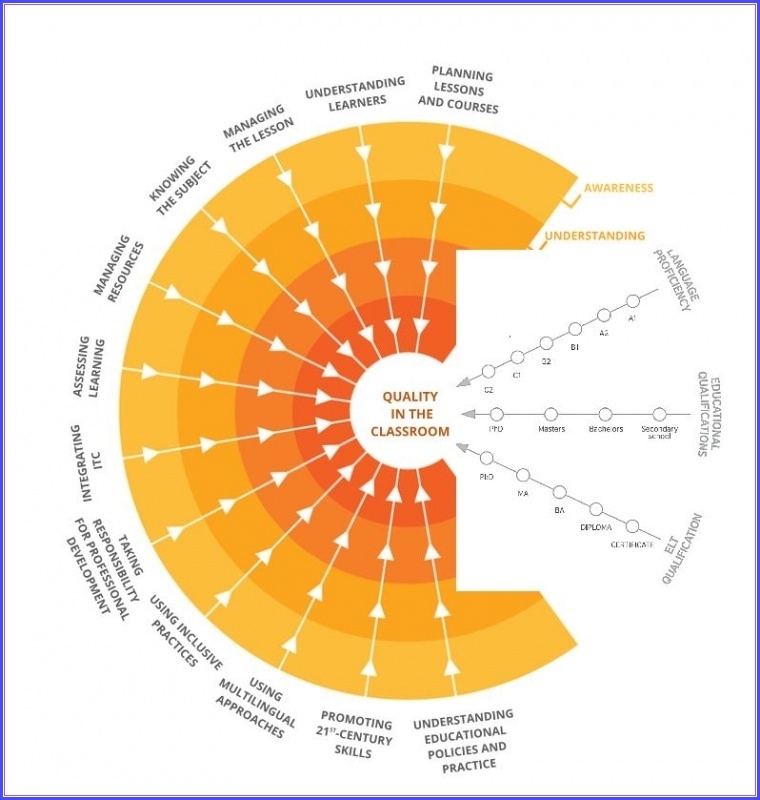 I know as assessment tools they are rigorously designed and scrutinized by teachers and learners globally, they reflect real-world teaching and learning challenges. I also trust standards like Celta or TKT when employing teachers. Are these easy standards for people to meet or to prepare for? No. Are they the most valuable markers of teacher or learner progression? I believe so. I have experienced standards-based assessment of my own teaching through Cambridge Celta (in 1993! ), Celta YL ext. and Delta. These standards were clear, carefully-considered and have been used by teaching professionals in many contexts over several decades. The criteria for marking my performance felt very challenging to meet but it was also fair and relevant to my daily classroom. Those standards had a hugely positive effect on my teaching and based on their CEFR scale progression, on student learning. I still ask myself questions like, “at the end of my lesson, were students able to do X or Y as I set out or described in my main aim today?” If I claim the answer is yes, what actual evidence do I have of that? That deeply internalized questioning has been trained into me as a teaching professional through standards like Celta and Delta. This has made me a much more reflective teacher. So, standards are important for teachers and learners but not just any standards. Who developed the standards and who gets to review and critically assess their value? Who ensures they are reliable, valid, have a positive impact on learning and that they can be practically applied in classrooms across the world. Developing meaningful standards is a major collaborative responsibility requiring global resources, time and ongoing scrutiny. In your opinion what’s the best/ideal way to decide what is good about a lesson? In other words, as a teacher trainer how do you “Judge” your trainees’ lessons? If so how do you do this? In informal day to day support and ongoing development for teachers, I observe teaching, learners and learning outcomes, I make detailed notes and refer to that data just as a computer model might. I try to use those observations to support and engage with teachers positively and to develop their awareness of what was more successful and less successful. I don't tend to grade or judge a lesson or decide whether it was a pass or fail (as formal training like Celta would) but I do try to stimulate the teacher’s interest in how we might apply a range of techniques, methods or approaches to help teachers improve the quality of their classroom practice. I try to identify priorities for the individual professional development rather than focus on “good lessons are like this”. For example, today I talked to one teacher about improving her highlighting technique and another teacher about visually modeling linking of contracted words. Small, fine tuning adjustments in the process of developing as a teacher to ultimately enable better learning. If these things don’t help though, as they may not, we’ll identify that in an action research led classroom, not continue out of some sort of deference to me as a trainer or an arbitrary model of good teaching. Teaching is a never-ending process of self-reflection. If parents, governments, even academics are disappointed by the idea we can’t make teaching more “product” like they need to find a less complex, less people-centered profession and consider industry. There is no product manual or instruction booklet to ensure effective teaching and learning. I’m off to listen to more experienced, more advanced teachers than me express ideas that I hope will challenge me this Sunday (Oxford Day, Tokyo) I will also go to IATEFL next April in the hope of updating my own knowledge, practice and to reflect on what we do with thousands of global EFL teachers. I can’t do this all the time like anyone else but all teachers (and especially those who profess some expertise) need to ensure they challenge themselves, invest in their own practice and expose themselves to everything that “might work”. Endnote: Julian and his team are doing an awesome job and making radical changes and contributions to English language teaching and learning in Elementary schools in Kutchan. I was privileged to see some of the classes. If I am permitted I might share on another blog post. Thank you for getting to this point. If you are still here, type "I DID IT!" in the comment section and I will send you a very useful teaching resource. Kudos to trainers/educators working tirelessly to improve Education in Nigeria by equipping teachers with modern teaching techniques, and hats off to teachers who put a lot of effort into attending workshops, both paid and free, in order to improve their teaching game. I’m all for reading wide and gathering knowledge but don’t be a “knowledge junkie”-gathering and gathering but never implementing. Let’s face it, most training platforms are not very practical and most teachers don’t really know how to use the knowledge gleaned from numerous workshops when they get back to their classrooms so they fall back to old and familiar ways of doing things. This issue has bothered me for a long time as I explored different ways to make PD sessions more beneficial to teachers. In one of my blog posts, I proffered the British Council CPD path as a way out but some teachers have sent me emails complaining about how broad and general this plan is, not tailored to meet immediate and specific needs of teachers. Recently, my supervisor introduced me to a system of professional development, used by Japanese teachers, which is aimed at improving teaching in a collaborative way. This method is forming part of my research and I am willing to work with teachers who want to be part of the pioneers to spearhead a more practical method of CPD which will go a long way to promote collaboration amongst teachers and improve teaching and learning in Nigeria. Improvement is faster if you’re actively involved and sharing ideas in a cycle that involves collaborative planning + implementation, reflection, feedback. 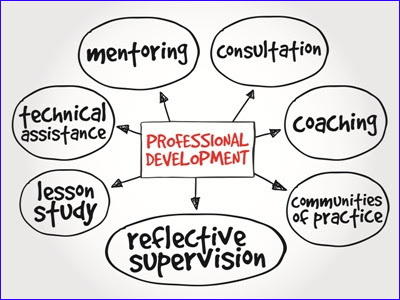 So, if you would like to take your professional development in your own hands, teaming up with other teachers to discuss the issues you are having at the moment and improve teaching please click on the pre-study survey link at the end of this post. However, the scope of my research only takes English Teachers in Nigeria into account. Following the success of this first phase, more teachers will be factored in, please bear with me. If you are an English Teacher in Nigeria and are interested in joining this CPD program which will involve collaborating with other English teachers in your area, physically and online, kindly click on this link to fill the registration form and I will get back to you. Also, if you are also interested in leading a team of 10 teachers in your area, send an email, captioned CPD for English Teachers, to 1teacher2anoda@gmail.com stating your Name, location, and a short write-up of about 150 words stating your experience as a teacher leader. "Everybody is a genius. But if you judge a fish by its ability to climb a tree, it will live its whole life believing it is stupid. "This is a quote attributed to Albert Einstein and is very popular in Education circles and what it simply means is that "Ëverybody is a genius depending on the context in which they find themselves." The truth of the above statement truly hit me when I arrived in Japan in September 2017 to commence my teacher training program sponsored by the Government of Japan, I was a complete idiot in the Japanese language; could neither speak, read or write. I was so eager to begin the Language course so I could enjoy living in the Japanese society. And then the course began and for at least the first month I couldn't understand what was happening. I, who was so "educated" in the English language became an utter fool when it came to the Japanese language and so a huge wave of panic hit me. If you checked my browser history during that month you would see a lot of google search on "Is it possible to be dyslexic in one language and not in another?" To make matters worse, I had learners from China and Korea in my class and except for just minor pronunciation issues that they had, they made the Japanese language look too easy and further heightened my feelings of stupidity! To cut a long story short, last week I completed the course in flying colours and became certified in Japanese language. Right now I can read, write and speak the Japanese language at the basic level. There are still many more levels to attain but at least for now I am no longer illiterate. So how did I cross the hurdle? I immersed myself fully into the language, reading ahead of lessons, watching Japanese animes and practicing whatever Japanese I learnt in class with native Japanese speakers. The most important factor that helped speed up my progress was the せんせいたち(pronounced senseitachi-meaning teachers). No matter how much I studied on my own, the concept only became clearer when I got to class and the teachers explained it using several interesting teaching methods. Every time we struggled, Yamashita Sensei would encourage us by saying "Don't worry, you still have 16weeks to go!" The place of a good teacher is indispensable in Education and more than ever before, I am proud to be a teacher. Now in a few weeks, I will be commencing my teacher training program and I will be surprised to find out that I am a complete fool when it comes to teaching. I am sure I will learn a lot of new things but that I will be completely illiterate will be out of the question. This brings me to my main point. 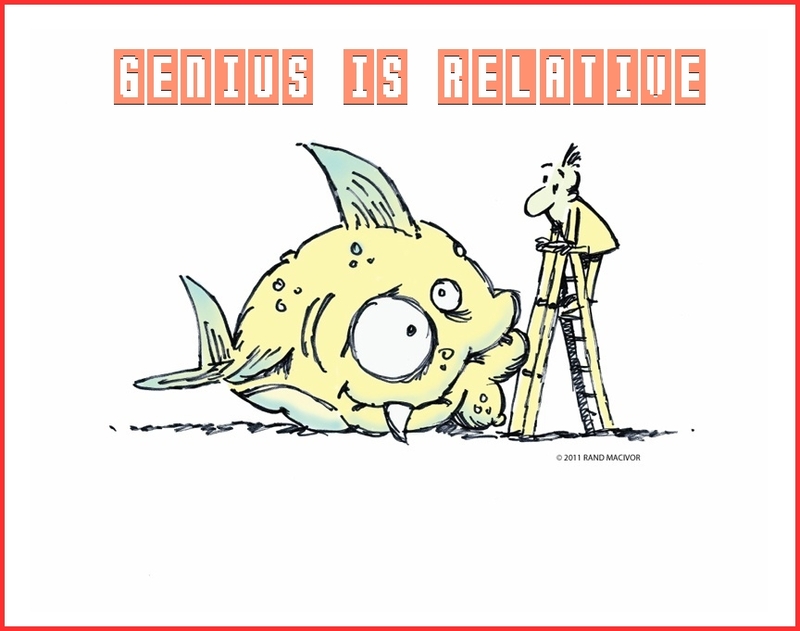 Genius is relative but it should be global. Language studies aside, if a child is a genius in science, maths, or Arts in Nigeria he should be a genius in America, Japan or Europe in the same field otherwise there is something wrong with the Educational system. So while we are waving the Albert Einstein quote around and working hard to help our children find their strengths and build their own niche we should ensure that we school them well using global teaching methods to ensure that they fit in any part of the world. They cannot be gurus in ICT in Nigeria and be stupid in Japan. But then, how can you give what you do not have? Start by exploring how teachers in other parts of the world are teaching your subject and incorporate these methods into your lessons as much as possible; you owe humanity that little. Remember, a lot of parents have no clue what quality education is like but they trust us-teachers to give the best to their kids. Cheers to global teachers raising global geniuses! Image: Google Image tweaked by Teacher Lola. Once upon a time in September 2017, I got the MEXT teacher training scholarship and transitioned to the other side of the classroom to become a student at Hokkaido University in Japan! How I miss the teacher-side of the classroom! But I am so grateful for the opportunity to learn more ways to become a better teacher. The view from this side is exhilarating, laced with a lot of mixed feelings. More than ever before, I am proud to be a teacher and I have come to appreciate more the hard work that the teachers put in. The past three months have also made me see things from the perspective of a student and I think I might have a fair idea of the struggles students face in this time and age. In this post, I will share what I have learnt so far from observing my teachers. Needless to say that I was completely illiterate when I arrived in Japan. As a matter of fact, all the English I prided myself on knowing became gibberish and inconsequential. I could neither speak nor read Japanese and the little I tried to learn on my own before traveling did not make much sense to me. This is the twelfth week since I began my Japanese Intensive Language course and I can boldly say that I am semi-literate! Thanks to my wonderful Senseitachi-先生たち (teachers) I have learnt Japanese from scratch and have built a repertoire of just enough vocabulary to help me get around successfully. Every day as I sit on my side of the classroom I keenly observe my teachers and try to get as much from teachers who are carrying out their trade in a country that is world famous for her robust Educational System. Punctuality: Japanese people are world famous for punctuality and this reflects in the classroom. up until this time, never have any of my Professors arrived late. Lessons begin as at when due and end right on time! Not a minute earlier, never a second later. Preparedness: The preparation of the teacher is always evident, never a confused moment; lessons are always seamless, with a smooth transition from one point to the other with a whole lot of variety of materials ranging from powerpoint to card games, to videos. Every day I am amazed at how Professors who teach University students put in so much effort to create great learning resources to teach adult learners. I can Imagine that the lessons for younger learners will be beyond amazing. I hope to find out soon enough. Dear teacher, as you prepare to begin the second term in a few days, why not infuse punctuality, preparedness, and tender loving care into your teaching game and see if things will work out differently this term. For me, the Japanese Intensive Language Course will be over in a few weeks and I'll head on to my Teacher Training course at the Hokkaido University of Education. I am still here for the whole of this new year and then some. I am still watching and learning and I will take out time to share as soon as I get a chance to do so. I hope to bring back enough information to contribute to the Nigerian educational System. Choosing a secondary school is one of the most important decisions you make with your child. At Sascon International School you can expect your child to receive an excellent education in a safe and caring environment where all people are valued. Our aim is to provide nothing but the best for each of our students so all can experience success, make positive contributions to the school community and go on to become responsible, independent members of society. Their achievements are our reward. At Sascon International School we are aware that the transition from primary to secondary school can be challenging for both parents and students. Through close liaison with students, parents and schools, we aim to make the transition as straightforward and comfortable as possible. Sascon International School is a warm and friendly place to learn, where, with the help and encouragement of our staff and with the support of their parents, students can develop the knowledge, skills and personal qualities that are needed to achieve success both now and in the future. We prove that we are indeed a good school, therefore, we would like you to decide that our school is the right place for your child. For in-year admissions, outside of the usual Year 7 or JSS 1 admission process please feel free to contact the school directly for information. You can also follow us on twitter @SasconSchool for updates. 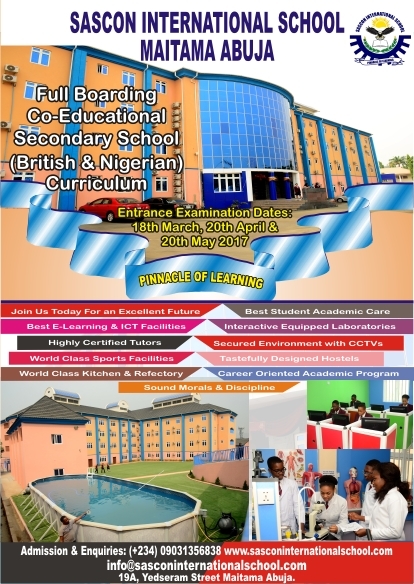 · School Tours - Prospective parents who live in and out of Abuja and have not visited the school are very welcome to visit us. Tours are usually conducted every week day, morning from 9.00 am but can be arranged for other days if this is more convenient. The teaching career is becoming more lucrative and highly competitive and good schools who are doing it right insist on getting the best hands in the industry and are willing to pay good money. Aim for schools like that and build your self up to measure up to their standards. 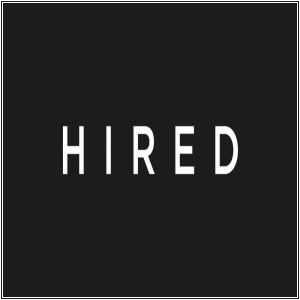 Recently I heard the story of a teacher who went on a job hunting spree and was being pulled in different directions because his hire-o-meter was very high. Two major schools want him so badly and have kept on jerking the employment benefits higher and higher to outdo themselves. As at the time of this post, he is torn between which employer to select. Now, that is what I am talking about! So, how do you become an irresistible teacher that every school is fighting over? How do you slam your desired job in that top school? Yes, some teachers earn even higher than bankers, how did they get there and how can you? I have outlined four steps to help you increase your hireability so that you can land your dream job. #1: Assess your skills: Good schools will not take any teacher without the knowledge of modern teaching skills. You cannot be aiming at getting a job in 21st Century schools and still be stuck in the rut of chalk and talk methods. Are you tech savvy? Can you plan engaging lessons? Are you abreast of current teaching trends the world over? Take a critical look at your CV and ask yourself if you even know about the curriculum your dream school uses and have any relevant qualifications to fit in the system. Most schools do not want to hire teachers they will start to train, they want teachers who already have it and can hit the ground running so do not go saying " I am a fast learner", it is either you have it or you don't! #2: Grow as fast as you can: Although most schools, like any other organization, look out for experience, some employers will also overlook experience and take into account the fact a candidate is upwardly mobile and forward-thinking. An administrator once told me that he would choose a teacher who is inexperienced but shows prospects of creativity and growth over one who has been in the trade forever but not current. So, if you are inexperienced, perhaps in your first to the third year of teaching, you can still dazzle your prospective employers and ace that job with a very impressive teaching portfolio. Gather certificates from relevant training sessions, get recommendations, your statement of teaching philosophy, students' work examples and even pictures. 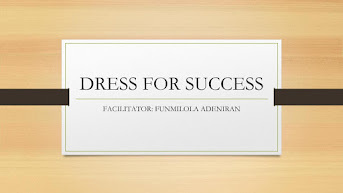 # 3: Look the part: Ever heard the phrase "dress for success?" Having done all of the above, ensure you look sharp when you are called for the interview. Gone are the days when teachers look shabby and downtrodden, schools are on the look out for teachers who can model decent and proper dressing for students in this age of torn jeans and sagging pants. No one is asking you to break the bank to do this, work within your means, invest in a good suit, smell nice, look tidy and no mouth odour, please. # 4: Work on your presentation skills: Most importantly, build your communication skills and be able to sell your self with your mouth. Some teachers have great CVs but are not able to sell themselves enough to get the job. Take a course in communication skills if need be, do not be stiff during an interview session, use jokes and anecdotes but not overtly so. Take an elocution and diction course to improve your pronunciation skills and sound polished when you speak. Every International school wants a teacher who sounds almost like a native when they speak. If you are yet to land your dream job in spite of meeting the criteria above, do not feel bad and give up. Like I said, the market place is almost saturated so, while waiting to get that job why not begin from the point where you are and make a difference? Besides, there is always room for improvement and no knowledge gained is wasted. Keep working on your self, keep building your CV to the point that even if there is no available role, one will be created just to keep you. Summer slide is the loss of learning and skills gained during the school year due to inactivity during the summer holidays. So, if you are worried about your children summer sliding😀, worry no more because HMS School Kaduna's got your four to ten-year-old children. With a fun Summer Club scheduled to begin 7th of August and run for two weeks, there is no chance that your child will be bored this summer break. The itinerary is super cool too: Football Academy, Leadership skills, Apps and Coding, public speaking and lots more. 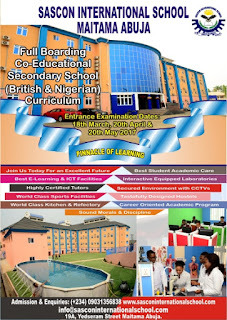 It is pure edutainment and the participants are sure to learn without the fun of the summer holidays being taken away. At HMS Summer Club, the children are sure to use the skills they gained throughout the school year through quality learning activities, chaperoned by certified teachers. 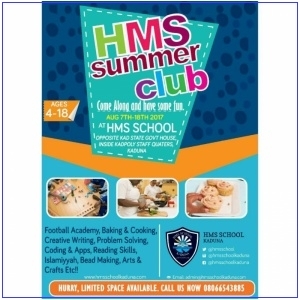 So, if you are in Kaduna for the summer holiday, kindly call the number on the flyer(08066543885) to sign up your kids for the HMS Summer Club to experience fun and interactive learning! Dear teacher, professional development is good but not every training is for you at the moment. The teaching profession offers so much to learn, so much to explore and so many exciting challenges and growth opportunities that can become overwhelming if there is no clear path to follow to professional development. In my first four years of teaching or thereabouts, I used to get so frustrated because I was aware I had so much to learn and I just wanted to know everything all at once. I was a knowledge junkie, going zigzag and just amassing knowledge haphazardly. Though I knew a bit of everything, I was not as deep as I wanted to be. I was worried and angry about the many materials I downloaded and photocopied but never got around to putting to use. As I grew professionally, I began to streamline knowledge after I learnt to identify the hungriest part of my teaching career then I went all the way to feed it. A few months ago, I found an even better way to do it-The British Council way. The British Council’s Continuing Professional Development (CPD) Framework is a great tool that allows teachers to evaluate, understand and plan their own professional development. The framework introduces 4 stages of development and 12 professional practices for great teaching and learning. Each professional practice has elements describing them and you can use the framework to identify whether you are at the Awareness, Understanding, Integration or Engagement level. Thus, the teacher can identify specific areas for development and chart a plan for growth. Download the booklet which contains the CPD framework here. There is also an online assessment tool which gives you the opportunity to assess your skills and choose the right training that fit your CPD path. Several courses for development and fantastic resources for each professional practice abound on the British Council’s website. CPD is good but only effective if it is properly planned and organised. Spend time to map your CPD path this summer holiday so you can slay like a #bossteacher next school year. Yesterday I heard a sad story of English teachers who have been in active teaching over a long period of time but couldn't answer job interview questions about very basic topics they supposedly 'teach'. Exam tension right? That in itself is a problem for are these not the same teachers that we trust to teach our children confidence? I weep for the GIGO our educational system is constantly churning out! Dear Nigerian teacher, You just be there ehn, content with being an average teacher, chopping that your i-better-pass-my-neighbour salary in that your British-American-Italian one- kind-one- kind school. None of your beeswax right? After all, you are not the government. In case you do not know, ultimately you are a Nigerian teacher, and the degenerative educational system is affecting you in more ways than you can imagine. Join teacher/educational groups on social media or better still start yours to lend your voice and share best practices. Adopt a school, train teachers for free. 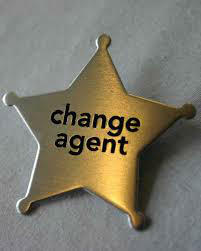 Teach in indigent schools for free, identify trouble spots and think of what you can do to be a change agent. I have a dream, that one day there will be quality education for every Nigerian boy and girl at every level irrespective of status, gender or background. 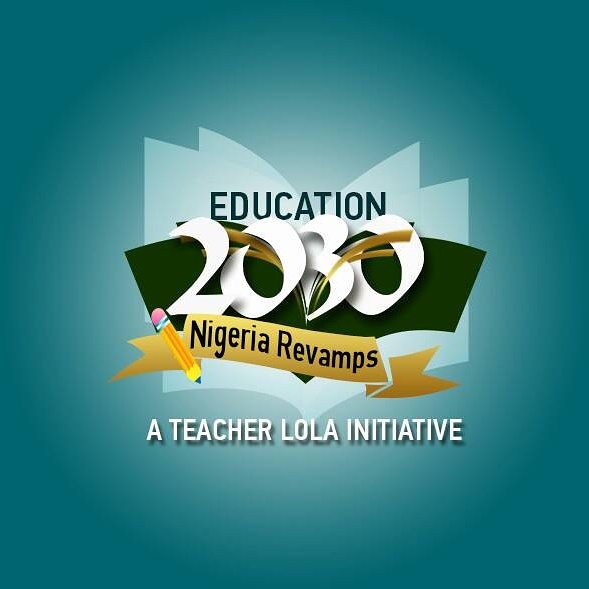 Vision revamping the Nigerian Educational System 2030.